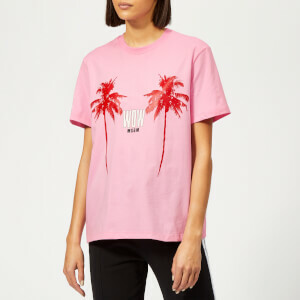 Graphic ‘Palm Logo’ T-shirt from eclectic Italian fashion brand, MSGM. Crafted from cotton, the tee features a classic crew neck and short sleeve construction. A contrast logo print emblazoned across the chest completes the design.